The Tabs updates are coming… Samsung’s latest AMOLED tablets line-up, Galaxy Tab S 8.4 and Galaxy Tab S 10.5 are getting a new update very soon. Both slates launched with KitKat 4.4 out-of-the-box, currently Samsung is working on updating these two tablets to Android 5.0.2 Lollipop. 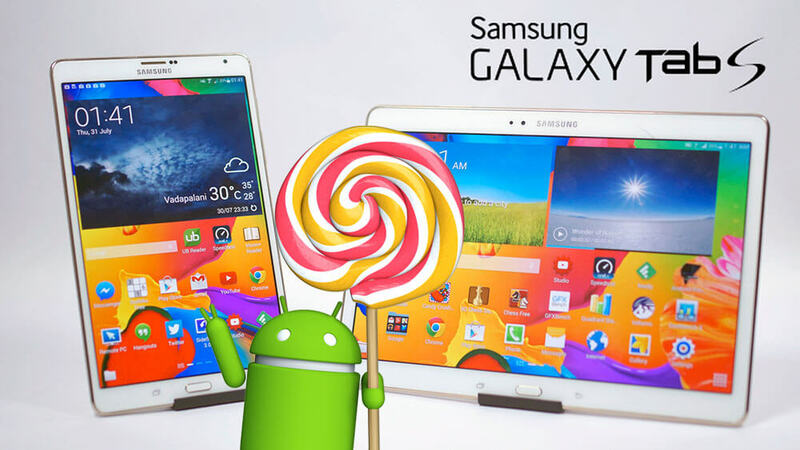 Samsung will release the Galaxy Tab S line-up Lollipop update by the End of April,2015. Galaxy Tab S 8.4 and Tab S 10.5 variants will get it earlier followed by the Tab 4 7.0 variant. Stay updated and check this Lollipop Update Status Page and don’t forget to take a look at what the update will look like on the Galaxy Tab S from the video below.